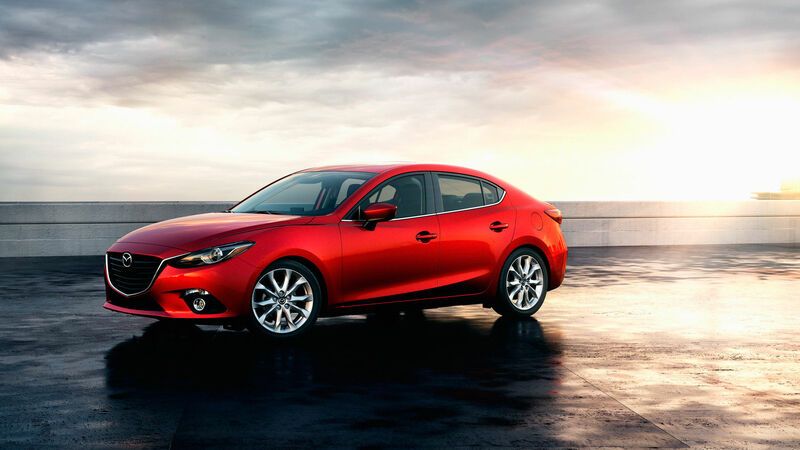 There's some serious competition in the compact segment these days, and at the top of that competition sits -- and rightfully so -- the 2016 Mazda3. Available as either a hatchback or sedan, the recently redesigned and reengineered Mazda3 is among of the strongest of the bunch. Dynamic, versatile, and highly efficient, the 2016 Mazda3 has much to offer in terms of amenities, design and drivability. Of course, those aren’t the Mazda3’s only redeeming qualities; they are most certainly part of the reason why the Mazda3 has consistently been one of Canada’s bestselling cars for a few years now. There’s no denying that one of the 2016 Mazda3’s most impressive qualities is its highly versatile transmission and engine combination. As such, there are two available SKYACTIV engines along with three SKYACTIV transmissions. Thanks to those SKYACTIV combinations, the Mazda3 has mastered duel economy as well as a highly engaging and dynamic driving experience. 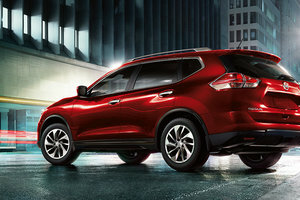 For the GX and GS models, Mazda equips a 2.0L 4-cylinder engine that produces 155 horsepower and 150 lb-ft of torque. Along with this, you get transmission choices between a SKYACTIV 6-speed manual and SKYACTIV 6-speed automatic. However, if you opt for the top-trim Mazda3 GT, you’ll find a 2.5L 4-cylinder underneath the KODO-sculpted hood. 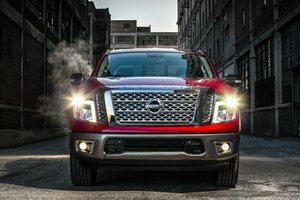 It produces 184 horsepower and 185 lb-ft of torque. Unfortunately, there’s no manual transmission available for the GT. There is, however, a SKYACTIV 6-speed automatic transmission with i-ELOOP technology that continually recovers kinetic energy as the brakes are used. As well, the GT also features paddle shifters for the non i-ELOOP automatic. Whether you choose the sedan or hatchback, Mazda’s KODO design means the 2016 Mazda3 is absolutely stunning to behold. The stretched-out elongated hood coupled with the close-cropped rear gives the Mazda a sport and race-inspired look that’s clearly performance-orientated; the 2016 Mazda3 has some serious stage presence on the road. This third generation of the Mazda3 features the Japanese manufacturer's new HMI Commander Switch, located just below the shifter, which controls the navigation and infotainment system housed on the newly designed 7” colour touchscreen. 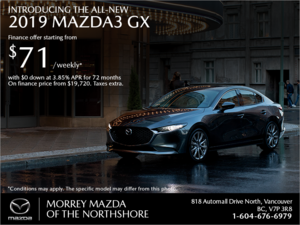 The 2016 Mazda3 rests comfortably at the top of the heap among its competition thanks to its sophisticated and modern design housed in a well-engineered vehicle that offers both fuel efficiency and a dynamic driving experience. A host of tech gadgets that include satellite, Bluetooth, and HD radio, along with both passive and active safety features (available blind-spot monitoring and smart city brakes) elevate the Mazda3 to first place within its segment. If you want to find out more about the 2016 Mazda3, head down Morrey Mazda today to speak to one of our experts about the compact-segment king -- and don’t forget to book a test drive, too!